USA is seeded #1 in the Maria Bueno (W50) Cup. 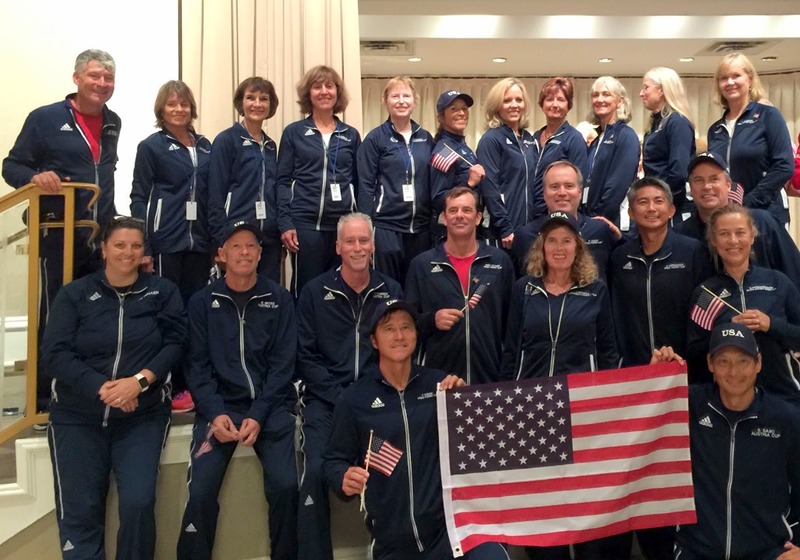 USA is seeded #5 in the Fred Perry Cup (M50) and is a round robin group with Canada and Finland. USA is seeded #2 in the Maureen Connolly (W55) Cup and is a group of 4 along with #6 seeded Germany, Norway and Turkey. Update: USA lost in RR group. Now playing for 5th. USA is seeded #1 in the Alice Marble (W60) Cup and is in a round robin with Turkey and South Africa. This is the sole Cup for which the USA is the defending champion. The USA is seeded #3 in the Von Cramm Cup (M60) after losing their top player, Mark Vines and his replacement, Tony Crabel. USA is in a round robin group with Mexico and Brazil. Opening ceremonies took place despite a tropical storm which drenched the Miami area today. However, weather for the rest of the week looks much better.